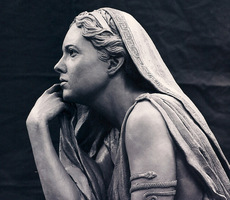 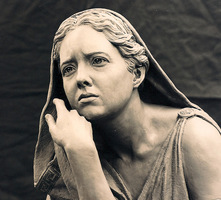 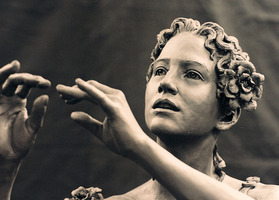 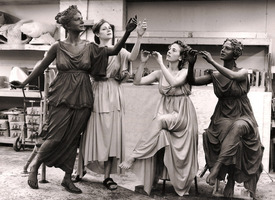 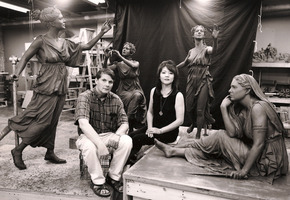 The four life size Greek Muses were commissioned by Hofstra University in Long Island, New York. 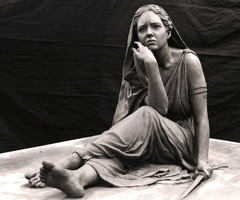 The sculptures represent the Muse of Tragedy, The Muse of Dance, the Muse of Music and the Muse of Comedy. 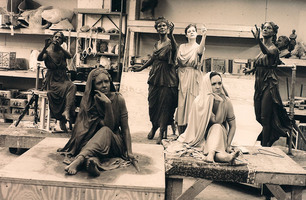 The original clay sculptures (before bronze casting and fabrication) are shown in our old studio and also shown with the models who posed for the works.